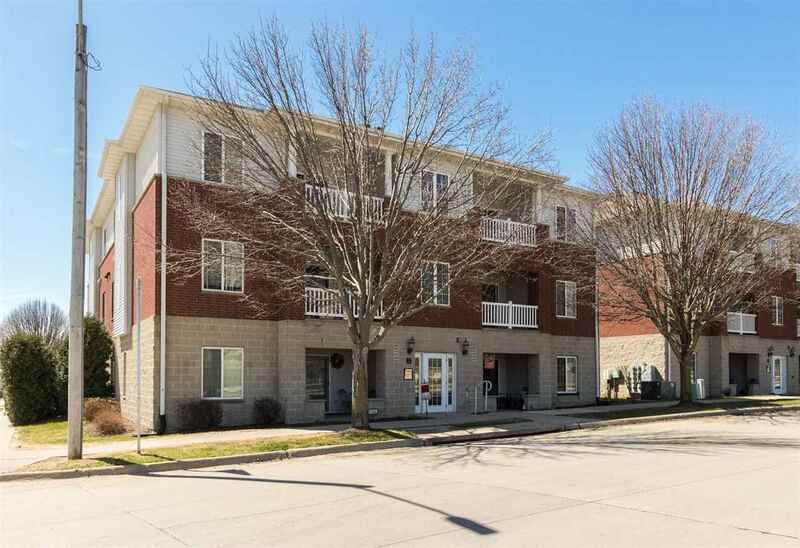 A great two-bedroom condo on the 3rd floor! Kitchen with a breakfast bar, stainless steel appliances and laminate floors. Opens into living room and dining area that includes an electric fireplace with surrounding ceramic tile! Sliding doors in living room open up to sunny deck area with great views of green space! Two car garage!